Dogs vary in size far more than most other animals. Different breeds range in size from teacup-sized to 200-pound pony-sized canines. To help guide you in what to expect when choosing a puppy to adopt, you can predict the size of the adult dog based on the breed. While there is natural variation from dog to dog, within the same breed they will be within a defined range. For some breeds, there is also a size difference between males and females. A dog breed is a distinct type of dog that has predictable physical and temperament characteristics that can be consistently reproduced in that dog's offspring. When two dogs of the same breed mate, the puppies should look and act as they do. A dog of a particular breed has a known, traceable ancestry referred to as the pedigree. A pedigreed or purebred dog is one produced by mating a male and female dog of the same breed. Registering the litter produced from such a breeding authenticates breed status of those puppies by placing them on record in a dog registry association. There are over 400 distinct dog breeds recognized around the world. Dogs have been associated with humans for at least 15,000 years, with recent genetic research pointing to as early as 100,000 years ago. Dog “types” like the Alaskan Malamute and Saluki appeared in nature and changed very little over the centuries. Some of the breeds known today have been around for 3,000 years or longer. Humans intervened in the evolution of the dog with selective breeding to improve traits such as herding and scenting ability. Rather than natural selection and survival of the fittest, the appearance and behavior of dogs evolved to suit the needs and whims of humans. Spontaneous genetic mutations happen at a relatively constant rate, and most are not advantageous. Nature would weed these individuals out of the gene pool. But dog breeders might find the results interesting and use the individuals with this mutation to introduce changes to existing dog breeds or develop a new breed. Welcome mutations include body shape and size, ear placement, tail carriage, scenting and sighting ability, or even hair coat and color. Selective breeding by dog fanciers refined breeds tremendously in the past 300 years. Breeders still experiment by creating hybrids and designer dogs. Despite the great variety in size and shape, all dogs are easily recognizable as canines. Interestingly, research has pointed to a single gene variant that is most responsible for the difference in size of dog breeds. It produces different variations of insulin-like growth factor, a hormone that influences cell growth. Large breeds are more likely to have the usual variant and small breeds are more likely to have the small variant. This may be why breeders have been so successful in developing large and small breeds. Giantism (acromegaly) mutation created breeds like the Great Dane and St. Bernard. These mastiff-type breeds not only are larger, they tend to be more heavily muscled and cobby—have a compact, short-bodied structure. By comparison, sighthound breeds like greyhounds are no less muscled but appear lither—and there is a wide range between the two extremes. Large breed dogs were often bred to be herding and guard dogs. Many are noted for being very loyal to their human family. Bigger breeds need more space. If you live in an apartment, you will need to be sure to schedule exercise time for your big dog. They also eat more food, which can become costly if you are on a budget. Larger breeds have access to countertops and higher shelves, so you'll need to think more about dog-proofing your living space. A big dog means more hair. While some large breeds don't shed as much as others, there will still be more dog hair to clean up simply due to the size. You, or the groomer, will also have to spend more time caring for the coat of a big dog. You will need to take extra care in feeding a large breed puppy so your dog doesn't grow too fast, which can lead to bone and joint problems. Large breeds are more at risk for hip dysplasia and elbow dysplasia, which is inherited. Reputable breeders do not breed affected dogs. Deep-chested large breeds are prone to bloat and torsion (gastric dilatation-volvulus), in which the stomach fills with air and twists when the dog eats too much or too fast, which is a veterinary emergency. You need to give big dogs meals of limited amounts rather than allowing them to free-feed to avoid this condition. Small breeds are those where the typical adult weighs 21 pounds or less. The American Kennel Club has the Toy Group classification for breeds weighing up to 10 pounds. Small breeds developed when a normal-sized dog was miniaturized with selective breeding. Sometimes this was in breeding the smallest dogs of a single breed, and in other cases, they were crossed with breeds that were already much smaller. The whippet, for example, looks like a scaled down greyhound, while the poodle comes in three sizes including the tiny toy poodle. It may be hard to believe, but the pug is a mastiff type and so is the Chihuahua, often with a similar attitude as their larger counterparts. 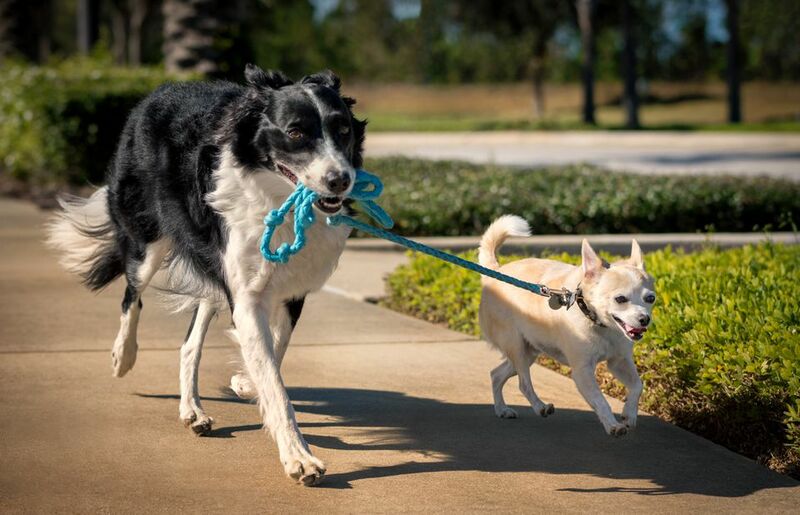 The other “little” dogs aren’t always so small—but instead are simply short. Dwarfism (achondroplasia) results in shortened, somewhat curved leg bones but leaves the body proportional. Examples include breeds like dachshunds, basset hounds, and corgies. Because small dogs were developed from a wide range of breeds, you will find those that retain their hunting instincts (such as terriers) and guarding instincts (with plenty of barking). Some have very high energy levels and you will need to give them exercise and keep them challenged with toys and games. You should research each breed to check their typical characteristics. Small dogs live longer than big breeds, on average. They are less expensive to feed and easy to take with you. As well, you usually won't face size restrictions for them in leasing an apartment or staying at a hotel as you might for a big dog. Socialization is very important for small breed puppies. They can tend to become fearful, defensive, and aggressive. Early positive introduction to a range of humans and other dogs can help. Small dog breeds that have flat faces and short noses (such as pugs, Chihuahuas, French bulldogs, and Shih Tzus) are prone to brachycephalic airway syndrome, making it hard for them to breathe. They also are more prone to ectropion, in which the eyelid rolls outward. Some small breeds are prone to dislocating kneecaps (patellar luxation). Breeds such as the dachshund and basset hound are prone to intervertebral disk disease, affecting their spinal column and causing pain, weakness, or even paralysis. Be sure to research the small dog breed you are interested in and ensure the breeder screens for these problems.